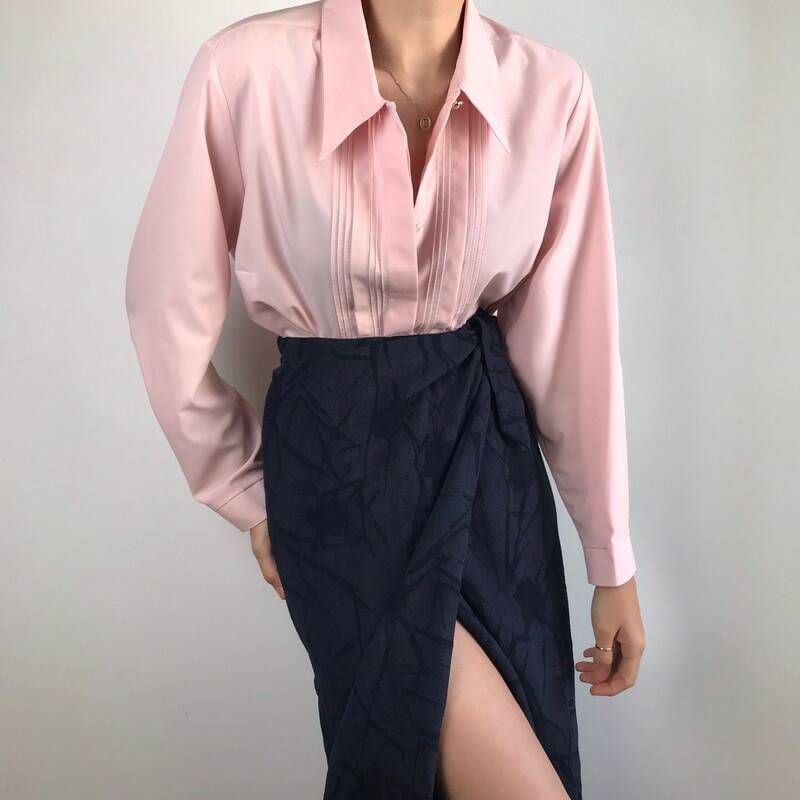 ‘90s vintage flamingo pink blouse with button line details. No size label. Will fit XS/L -depending on how it’s styled. Shown on a size S model on the pictures. No fabric label. The touch indicates %100polyester.